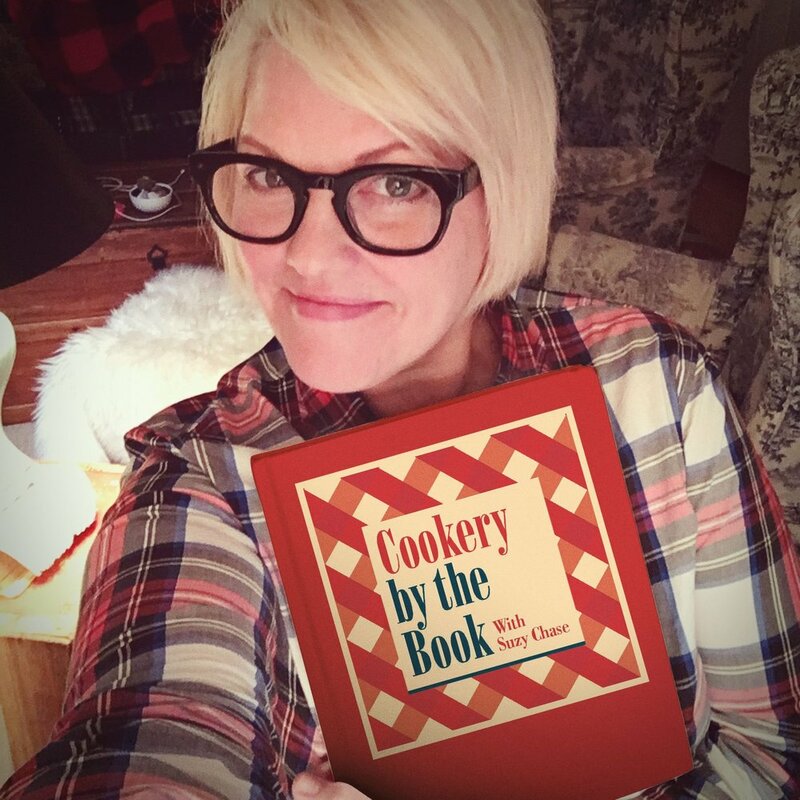 Maya: Hi, I'm Maya Wilson, the author of The Alaska From Scratch Cookbook: Seasonal. Scenic. Homemade. Suzy Chase: Let's set the scene. You wake up one morning in California and think to yourself, let's sell almost everything we own and up and move to Alaska. How did you come to that life changing decision? Maya: You know, we had a very intense pace of life in California. The kids were much younger at the time. They were seven, six, and three, and so much of life was characterized by the drive, kind of workaholism and upward mobility, and really, I felt like it wasn't, we had reached a burnout point, kind of a breaking point, and it wasn't good for the kids, and it wasn't good for me, and it just wasn't a healthy way to live life, and so really wanted to seek out very deliberately and intentionally a slower pace of life for our family, and that's how we kind of started looking for jobs up in Alaska and eventually landed here. Suzy Chase: What made you think about Alaska? Maya: I love Alaska for its nature and majesty and the water and the clean air, just something that we didn't have in California, and the lack of traffic, and just the way that Alaskans live off the land and out of the sea, and all of those things were really, really appealing to me, and being kind of far flung was really appealing to me, and being a little removed and getting into the outdoor lifestyle, and those sorts of things, and so that all was really exciting, and it was right around the time that Alaska was starting to pick up momentum on reality TV and things, and so there was a big buzz around life in Alaska, and I was excited to be a part of it. Suzy Chase: On your blog, you talk about Alaska's unique regional cuisine. Describe a couple of unique dishes. Maya: Some of the dishes in the book, we have a hunter's pie that's made with ground moose, and because moose is one of our game meats, I think there are more moose on the Kenai Peninsula than there are people, and so that's one, but you can certainly use ground beef or ground turkey in that recipe with great results. Similarly, with the moose chili. That uses ground moose as well, and then we have things like reindeer sausage that we use for reindeer hotdogs or you can use it as smoke sausage, but if you don't have access to reindeer sausage or reindeer hotdogs, you can substitute a great smoked sausage like the turkey or beef, and the same with a good locally sourced hotdog, so I try very hard to feature some of these great local ingredients that we have but also make it accessible for people who live in the lower 48 and beyond, who don't have these same ingredients that we enjoy. Suzy Chase: "The food was the representation of me at the table, but I had become invisible. I hadn't set a place for myself, nor had I demanded one be made for me. I was nourishing others, but didn't feel worthy of the same nourishment myself." I mean, that phrase resonates so deeply with so many people. Talk about how healing emerged with this cookbook. Maya: Wow. Yeah, that moment that I talk about in the book was so pivotal for me, and it's been amazing for me to hear the responses and hear that it does resonate with people, and to know I'm not the only one who has experienced this. That's been really great for me, and I just came to a place and it kind of culminated in that moment where I realized, I am worthy of being heard. I'm worthy of being seen. I am worthy of the longing and feeling safe, and I need to stop asking for permission to show up to my own life, and it really began to sink deep into me at that moment, and so the book has really been kind of a self-actualizing process, really becoming, and leaning into who I am, and who I'm meant to be. Suzy Chase: So many women in particular really, really think about that. I know I've thought about that. It's like looking at your pictures, it looks like you have the most wonderful life, and you made it. Maya: It took so much hard work to get here, but it's important work, and if you get to a place where you realize you are in the wrong story, take charge of it. Grab your autonomy back, and really seize your life, and make it what you want and hope for it to be. Suzy Chase: Were you ever worried that this was going to be the wrong move, that it was only in your head that once you got there, you'd say oh, I don't belong here, I really belong in California? Maya: No. Never. As soon as you step off an airplane into Alaska and that crisp air hits you, and the beauty of this place, and the stars in the sky, and the northern lights, and the wildlife, I'd never had a single visitor come visit and not leave rejuvenated and feeling healed, and like they're more in touch with themselves, and that's really something Alaska comes off with me, and it's something I try to offer to my readers from long distance, too, and they ... We've got something really beautiful and special and healing up here, and I really do want to share it with everyone. Suzy Chase: As a kid who grew up with food stamps, how did that influence your cooking style? Maya: That's a great question. Growing up poor and with food insecurity certainly teaches you how to cook out of necessity and to make things out of nothing, and it makes you very adaptable in the kitchen, and when I moved up to Alaska and we had these long, dark winters, and lack of access to fresh food or fresh food is very expensive, or you live miles from the grocery store, I suddenly tapped into that child in myself that says I know how to do this. I know how to work with little or nothing and make it something, and that's something that being poor taught me, and so Alaska has kind of brought that out in me in a way that's positive and in a way that allows me to make a difference, and I never want to forget where I came from. I never want to forget those mayonnaise sandwiches and those boxes of macaroni and cheese, and those things that kept me going because it keeps me very grounded, and it helps me realize and really appreciate the food and where it comes from, and the people sitting around the table and all their various backgrounds, so it really shapes me and also helps me in the kitchen today. Suzy Chase: The photos of Alaska are stunning. Did you take all of the photos for the book? Maya: I took a vast majority of the photos in the book, with the exception of photos of me, my wife took, and there are also a few scenic shots in the book that she took as well. There was one in particular. There's a gorgeous spread in the middle of the book of the peak of Denali from an airplane, and we were on our honeymoon, and we took a glacier tour, an aerial glacier tour, and we landed on a glacier, and at one point, the airplane turned on her side of the plane, and the peak of Denali shone out, and I passed her the camera. I said, "Get that shot," and she nabbed it, and so she took that shot and a few others in the book that are really beautiful, but for the most part, I took the shots in the book, and the food photography is shot by me, edited by me, all except the ones that have me in them. She also took the cover shot because that's me holding the bowl there. Suzy Chase: So, there's a recipe on page 116 called Kenai Cheese Dip. Describe that. Maya: There's this place here in Kenai, it's actually kind of out of the way in town, called Echo Lake Meat, and they sell this cheese dip that they're famous for, and places all over Alaska try to replicate it, and it's kind of a staple in Alaskan homes, and it's cheddar cheese and jalapenos, and liquid smoke, and some mayonnaise, really, and when you stir that all together and you put it on crackers or chips, and you see it all over Alaska. People love this stuff, and I discovered years ago when I was first introduced to it, that when you warm it up, it makes kind of a pseudo-queso, and it occurred to me for the book that this would be great on a cheeseburger, and so I put a big, just huge amount of black Kenai cheese on top of a burger and stick it under the broiler, and let it get al gooey and melty with those jalapenos, and that liquid smoke, and I put a little barbecue sauce on the burger, and it's just ... It's amazing. Suzy Chase: So, on another note, tell us how gnocchi became your therapy. Maya: It's funny. In life, I find when you go through trauma or grief or loss, the first thing that goes is we stop feeding ourselves, right? And this is why people bring food when someone dies or because we stop feeding ourselves, all self care goes out the window, and when my mom had end-stage cancer, and I was doing her hospice care, I stopped feeding myself, and after she died, there was a time that, you know, it took a long time to get my appetite back and my equilibrium back and to feel inspired to be in the kitchen again, and the thing that really I remember very clearly motivating me to be in the kitchen was teaching myself how to make gnocchi. I always wanted to make it, felt like it was too intimidating a thing to make gnocchi at home like the famous Italian chefs on television, and I always wanted to do it, and so I started trying and making it, and rice and potatoes, and then trying a ricotta version which is much easier, and landed on a dish that really exemplifies that period in my life of working through grief and finding my new normal once my mom was gone, and you know, that song Landslide by Fleetwood Mac? Maya: Stevie Nicks. That's kind of a life anthem for me. There is a line in there that says, "I've been afraid of changing because I've built my life around you," and so much of my life has been that, and the way I shaped my life around who my mom was, or in response, a reaction against who my mom was, and that carried on into other relationships in my life as well where I shaped my life around other people, and once she was gone, I really asked myself, well, who are you going to be now? And that all circles back to what we talked about at the beginning where finding that sense of worthiness and belonging and a voice, and it's really been profound for me, the loss of my mom and the way that that has shaped my life and my food. Suzy Chase: It really makes you have to grow up. Maya: Absolutely. Absolutely, and you just, you realize that there are so many things that you choose to do or not to do because of a person in your life, and once they're gone, there's kind of a vacuum, and you realize hey, the motivation for that isn't there anymore, and it changes you. Suzy Chase: And on the other hand, it can free you up. You can do anything. Maya: Yes. There's a huge amount of freedom, and it's huge. I talked about it in the book in the beverages chapter about how I had never touched alcohol while she was alive because she struggled with alcoholism, and after she was gone, I realized that my motivation for being afraid of alcohol and not ever touching it or drinking it was completely gone, and that gave me a freedom to explore that, and try wine pairings, and start enjoying a cocktail every once in a while, and that has been hugely freeing for me, and there are so many other things, that I could point to, that are similar where I've become a different person, really, because of that loss. Suzy Chase: In the cookbook, you have these incredible looking baked chicken wings with bourbon and birch syrup glaze. What's birch syrup? I've never heard of that. Maya: We have lots of birch trees in Alaska, beautiful birch trees with the white bark and with yellow leaves, and if you cap those like you do a maple tree and you get syrup that's much like maple syrup, but it's a little darkier, more molassesy, kind of like sorghum, and it has some woodiness to it like almost piney-ness, and it's got great dimension and depth to it, a little less sweet than maple syrup, but it behaves very much the same way in recipes, and it's a great Alaska ingredient that I really wanted to show off, but if you don't have birch syrup, glaze with pure maple syrup in exchange, and it'll still produce great results. Suzy Chase: I wonder if Whole Foods has birch syrup? Maya: You know, if they don't, I can ship you some. Yeah, I would love to send you a bottle because it's really great. Suzy Chase: It sounds incredible. So, give us some of your favorite things from your favorite thing section in the cookbook. Maya: Oh, one of the ones that comes immediately to mind is my cast iron because I just used it this morning. I had a deadline for my weekly food column in the newspaper and busted out my cast iron skillet. It is just my trusty sidekick, and cast iron is so Alaska and goes back to the gold mining days, but it's also an amazing tool in the kitchen for getting great color and sear on your seafood, your vegetables, and I love the way you can transfer it from the stove top to the oven to the campfire seamlessly. I just am obsessed with my cast iron, and also like a good cast iron dutch oven, equally love for making a big pot of soup, just obsessed with cast iron. Another thing in the book that is one of my favorites is avocado oil. I love to use avocado oil for searing fish in particular, and I have a lot of beautiful Alaska seafood in the cookbook. I cook a lot of salmon, halibut, and avocado oil has a much higher smoking point than, say, extra virgin olive oil, and it just gets beautiful color on your food, and it's flavorless so you can use it pretty much anywhere in any recipe that calls for oil. Suzy Chase: I like that you included the iPhone, which I'm constantly picking up and looking at while I'm cooking. Maya: Oh, 100 percent. Yeah, my iPhone always has food on it. I have to clean it off all the time, but yeah, I use it all the time to look up recipes. I'm always taking pictures, whether I'm, you know, cooking or styling, I always try to get a shot on my iPhone for Instagram, and I'm texting my wife, asking her if she could pick up ingredients at the store, and all these things, and so the iPhone is kind of, I'm never without it. I know a lot of us have this horrible addiction to our technology, and our iPhones in particular, but I find it so useful in the kitchen. I can look up reviews to a recipe. I can look up ingredients. The options are endless, and I'm never without it. Suzy Chase: Last weekend, I made your recipe for poached halibut in Thai coconut curry on page 87. There is something so lovely and light about halibut. It might be my favorite fish. Talk about how you asked your readers which recipes should be in this cookbook. Maya: Oh, I took to social media after I had announced that I had a cookbook deal, and I said okay guys, help me out, what recipes that have previously been published from the blog or from the food column would you think absolutely have to be in the book, and I was able to put a few of those in there, most of it's new, but I really wanted the ones that had been previously published to be reader favorites, that they want to see in the book, and so I got all these responses and my wife was so nice to compile them in a list and put tally marks and check marks and tally it up for me, and the one that was at the very top of that list was that halibut in the Thai curry. People love that dish because of its ease, but also because of its elegance. You can serve that to guests, but you can make it quickly, and it's so healthy, too. It's got greens and lean fish and healthy fats like coconut milk. It's just a great dish, and people really adore it, and I was thrilled to get to put that one in the book. Suzy Chase: So, one reader even won a cooking competition with your halibut recipe. Maya: One of my readers up in Anchorage, her husband submitted it for a cooking competition, and after he won, they sent me an email. They said, "This is our favorite recipe. We won a competition, and it's so awesome." They even sent me a photo. Suzy Chase: Oh, that's fun. Where can we find you on the web and social media? Maya: Well, my favorite social media is Instagram. You can find me on Instagram, Facebook, Twitter, Pinterest, and at alaskafoodscratch.com. Suzy Chase: And, there was a terrific piece on your cookbook in The New York Times yesterday. Congratulations on that. Maya: Thank you. Thank you. I still can't believe it. I am thrilled and honored by that. Suzy Chase: And one last bit. I noticed that on every Alaska From Scratch blog recipe entry, you post the local temperature and a song, so I asked you to curate a kitchen mix tape playlist on Spotify, and it's awesome. So, everyone just search "Cookery by the Book" on Spotify, and you'll find some of Maya's favorite songs to cook by. Maya: Awesome. I love it. Suzy Chase: In the forward, Kim Sunée wrote, "Hers is the story of an arduous emotional journey, a tale of caution to those of us who ignore what's deepest and true inside our hearts." Thanks for sharing your journey with us, Maya, and thanks for coming on Cookery by the Book podcast. Maya: Thank you so much, Suzy. It's been a pleasure. Suzy Chase: Follow me on Instagram at "Cookery by the Book." Twitter is "imsuzychase," and download your kitchen mix tapes, music to cook by on Spotify at "Cookery by the Book," and as always, subscribe on Apple Podcasts.